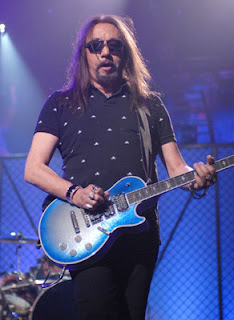 It's the first new Ace Frehley solo album in twenty years, since the days of Freehley's Comet. First lets set the Ace/ KISS record straight. According to Ace after the reunion Tours of the late nineties, he was asked by Gene Simmons & Paul Stanley to do a Farewell Tour. He agreed believing it was the end, next he claims he got a call from Simmons saying we're going on Tour again, if you don't come we'll get another guitarist. That was that. I love KISS since the early days, I was there for concerts without the make up & the reunions. 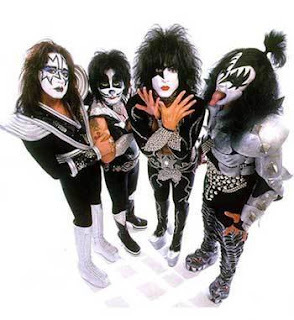 Although the KISS concert spectacle is one of the greatest shows on earth, I just cant get excited about Gene, Paul & two fill ins wearing Ace & Peter's make up. All due respect to the others, especially Eric Singer whom I've met & is a hell of a drummer & nice guy. But there is only one Space Ace, one Catman Peter Criss, and there is only one ORIGINAL KISS!!!!! 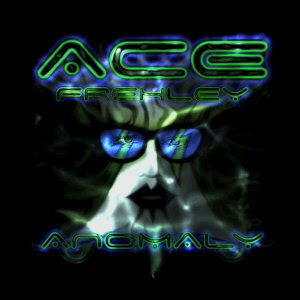 As for the new Ace Frehley album Anomaly: Plain & simple I love it, just straight forward rock & roll. 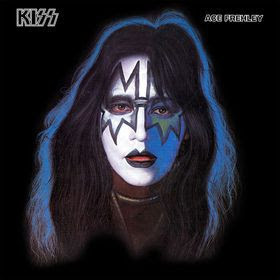 It picks up right where the first great classic Ace Frehley solo album from 1978 left off, and that's exactly what Ace set out to do. Ace's guitar work is incredible, with his classic riff style and wailing leads. You have to love the instrumentals "Space Bear" & "Fractured Quantum". The I-Tunes bonus track "Return of the Space Bear" features Ace talking over some of the guitar parts with funny lines and his hysterical cackling laugh. "Fractured Quantum" is the fourth piece of his continuing "Fractured Mirror" instruments that began on the original Ace Frehely album. Ace produced most of the album and wrote almost all the songs. The exceptions being an incredible version of Sweet's 1975 classic "Fox On the Run". This is destined to be a Frehley classic right up there with his "Back In the NY Groove" cover. 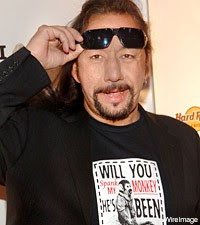 The single being promoted is "Outer Space", keeping with Frehley's Space Ace image, co written with Jesse Mendez & David Askew. I love the guitar rhythm on this one & you almost feel the bass line was taken from the Gene Simmons song book. Ace who has now been sober for over three years reflects on his past in songs like "It's A Great Life", "Too Many Faces" & "A Little Below the Angels" which features a daughter asking the father if he's ever seen an angel. He responds by saying, "yes, it was the most beautiful thing I ever saw". He also sings of feeling like he could change the world & wishing for peace as he woke up in "Change the World". The album is dedicated to the late former KISS drummer Eric Carr & Pantera's Dimebag Darrell. Long time Frehley drummer/friend Anton Fig has returned to play drums. Fig was on the original Ace solo album, & a member of Frehley's Comet. Since then he has played in the David Letterman house band & has sat in as band leader when Paul Schafer was away. Other musicians include: Anthony Esposito - bass /Derrek Hawkins - rhythm guitar /Scot Coogan - drums, percussion & Marti Frederiksen - keyboards. The label is his own Bronx Born Records. 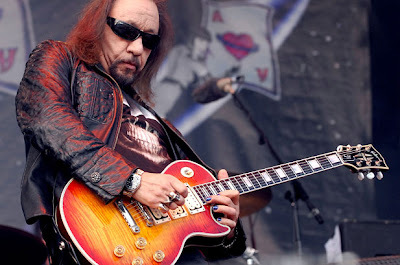 Frehley was born in the Bronx growing up in the Webster Avenue /Bedford Park / Pelham Parkway sections. The album has done well in its first week of release. It debuted at #27 on the album charts. Ace is signing copies of the album this weekend; Saturday 9/26 at Vintage Vinyl in Fords New Jersey & Looney Tunes in West Babylon on Sunday 9/27. Ace is touring Australia in October with a US tour to follow in the late fall / winter. Cant Wait! On Frehley's website the promo for the album, has a boy telling a girl that he has been waiting for the new Ace album for over a year. Their uncle, wearing a "Trouble Walkin" t-s hirt, tells them he's been waiting 20 years. Frehley pulls up through a cloud of smoke, on a Chopper. He makes a hitchhiking thumb gesture and lets out an "Ack!" just like in the movie "KISS Meets the Phantom". The album appears in the hands of the trio and Ace rides off. The definition of Anomaly is any occurrence that is strange, unusual, or unique. A discrepancy or deviation from an established rule or trend. "Ace is back & he told ya so!!!" 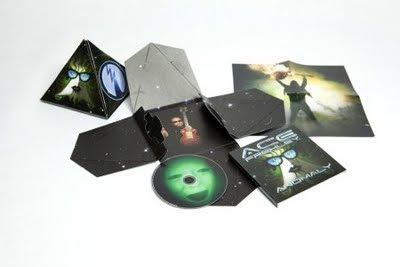 Ace's new album is so good! I've been playing it constantly at home,in my car,everywhere. He certainly has his own style which is a great thing.It leaves me wanting more from ACE. Ace!!!!! The new album is fantastic!! !